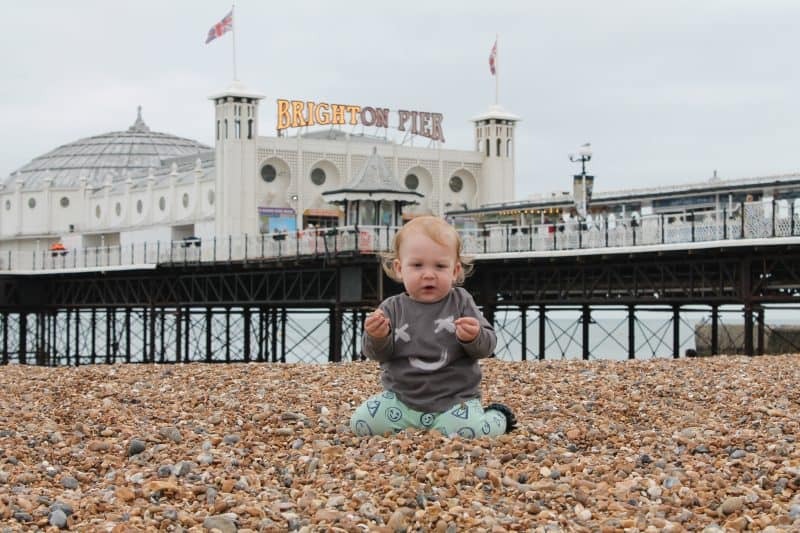 Just a fun little outfit from Arlo for this ‘what the kids wore’ and a complete accident that both items happen to be from Zara and have faces on them! 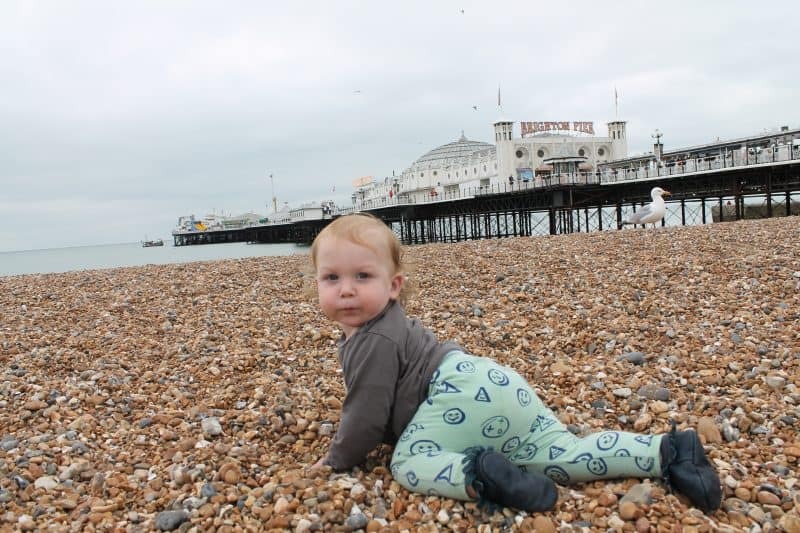 I got the leggings in a splurge order when he was only a few months old and I got a couple of pairs in different styles all sizes up to about 18 months I think! 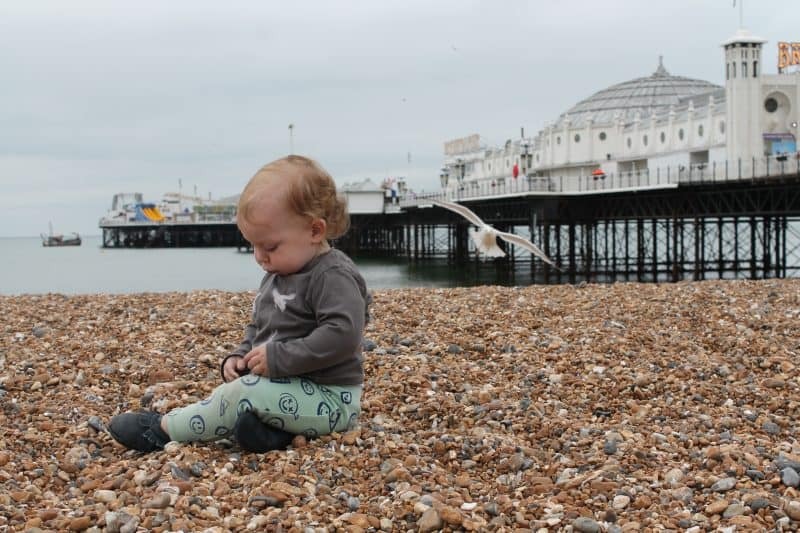 As with all Zara baby leggings they come up quite small so although these are 12-18 months I don’t think he’ll have many wears left (he’s 14 months now but does have longish legs) The light colour means the knees get a bit grubby but they wash up well! They’re generously cut for cloth bums too. The top is really soft and the print has a weird fuzzy feeling overlaid which makes it a bit more fun and different, although the X’s for eyes are slightly creepy! 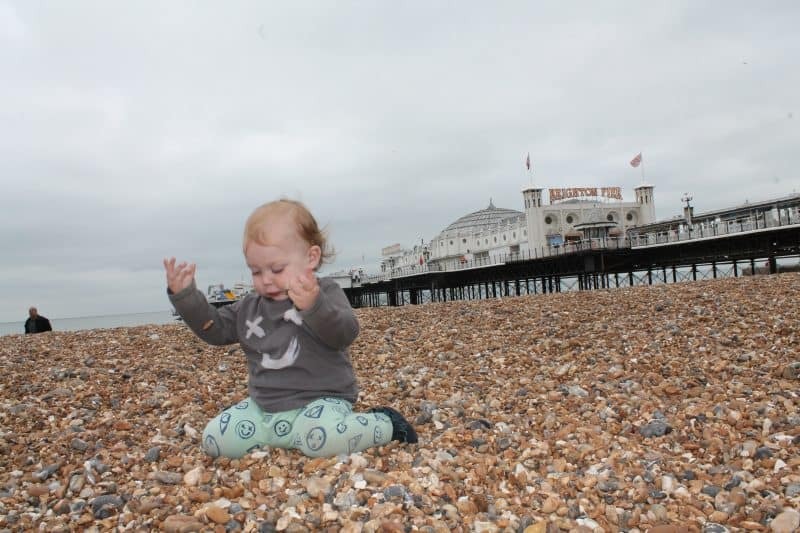 Perfect for pebble playing and seagull dodging on the beach anyway… check out this cheeky bugger! Aww he looks great! Love a good Zara outfit 🙂 Fab photos in an awesome location!